For those who have made the realization that even the citizens of Eorzea have to make a living after they have started their path to become a hero among heroes. Gil will be needed to buy and occasionally repair equipments, buy buff-food, potions, and teleporting. But they are just so expensive. So here are some ways on how you can buff up your bank balance. However, since every server is different, you’ll still need to research which one is most feasible, as these are just rough pointers. In these harsh environments, the lifeline of every adventurer that brings his first class up are quests. Not only do quests give you a freedom to choose another item, for example, the Allagan Pieces that can be exchanged for Gil, it also rewards you with Gil in itself. Whether you can get the equipment from the quest reward cheaper, you will have to check and compare with the Market Board first. By doing the quest “Rising to the Challenge”, you will be able to unlock the Challenge Log when you reach level 15. Coming with a lot of monetary reward, the challenge log resets every week and will give you a lot of little challenges. If at level 50, you can complete all the challenges, that is equivalent to 50,000 Gil extra in your bank. Crafting is the ultimate gift that keeps giving.Uunless you farm everything needed for crafting yourself, it can be rather expensive, so players just stop levelling their crafters. It all pays in the end, nonetheless. Other starters will prefer them to get their own craft levelled more quickly, and it becomes a cinch the creation of low-level high-quality items. A no-brainer for all gamers, where all you do is sell items that you have picked up, or craft into possibly better-selling items, if you have the crafting class for it. However, remember to do your research on the Market Board. This feature can get you quite a bit of cash although it is often overlooked. The equipment you wear will gain Spiritbond while you fight, craft, or gather. You will be able to convert the equipment to Materia if it reaches 100%, without the need to wear it anymore, of course. You can achieve very good prices on the market depending on the type of Materia you get. Finishing a dungeon can also net you a nice sum of Gil and rare items to craft with, as an alternate to rewarding rare equipment. You will also gain Tomestomes when you reach level 50. The Tomestones you can exchange for crafting materials that can sell very well which are rather pricey. Without ever leaving the safety of the city, some players are able to make a fortune. They buy low and sell high by observing the ebb and flow of prices when they spend their time with the Market Board. Outside of Crafting/Gathering I’m finding myself losing the drive to play as much. Someone feel like they don’t have things to look forward to as much and figured hearing what other guys are up to might spark something. So! What goals are you guys current setting after? Savage? Crafting? PvP? Something else? Here we gethering some of ffxiv4gil fan’s current goals in XIV. shavol:i just want to make friends.i used to play wow and it was really fun but it wasnt fun because of the game. it was fun because i had people to talk to and play with. i dont have anyone in ff14 to talk to and play with so its not as fun but i want to. AnghellicKarma:I’ve got all DoH/DoL to 60, PvP Rank is 42, I believe, and I have about 5 of my DoW/DoM left to hit 60. I also want a new relic for my main.After that, I feel like I can finally “move on” and play other games between story patches. Frostzee:Currently working towards the title “The Hand of Mercy”. Getting at least 100 kills a day, just broke 3600 yesterday and am hoping to get it by the end of the month. DonPasterino:Finding a Melee DPS I like and level it to 60 so I at least also have a level 60 DPS.Other than that sending a bunch of dodo minions to my friend on hiatus so his inbox will be filled with nothing but those critters when he gets back. demon_soulz:My original goal was savage, but since I can’t commit to a static that went down the drain…I switched my goal to getting rank 50 in PvP and the ADS…but since 3.1 dropped the queue died out. Level more classes on my main. Tinymage:All crafting classes to 60. Already done the battle classes and gatherers so that’s the only thing left to do. No idea what I’m going to do after that though. Coan_Arcanius:Finding a replacement bard for my group so I can drop out of raiding. Past that, I really don’t know. Probably clean out a retainer so i can kill the extra paid service and continue on the cheaper sub option since I don’t plan on quitting fully, but my interest in the games really just not there. Maybe i’ll get some desire to save for a larger house since i’ll let my old small plot get reclaimed. FFXIV4GIL is ranked No.1 in the Gaming Industry. We have more than 6 years’ experience in the gaming market, which allows us to provide you with the most professional services. ffxiv gil at ffxiv4gil is hot on sale now. 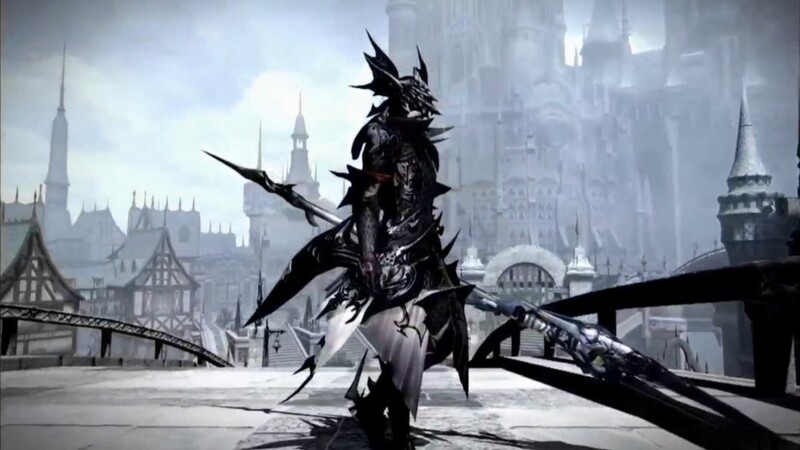 Whenever you need to buy ffxiv gil, our Live Chat is 24/7 waiting for you. Do you remember the Pharos Sirius in Patch 2.0? For some players the Pharos Sirius may be a dungeon full of memory. At that time, you might reach Lv.50 and expect to get high ilvl gear from the Pharos Sirius. Now few of players would like to rush the Pharos Sirius. But after Patch 3.1 updated, players have reasons to enter the Pharos Sirius again. The Pharos Sirius hard mode is added. 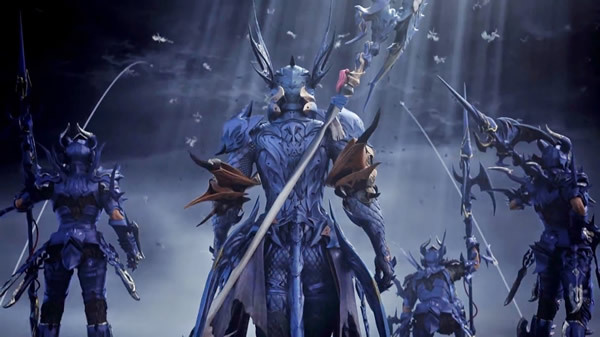 Come with FFXIV4GIL, let’s go to know more about the hard mode of Pharos Sirius. The same as the normal mode, it is a 4-player raid, 1 Tank, 1 Healer and 2DPS. Lv.60 players need to start the Lv.60 Sidequest Things Are Getting Sirius. Players can start the quest by talking to Trachraet in Lima Lominsa Upper Decks (x12, y12). 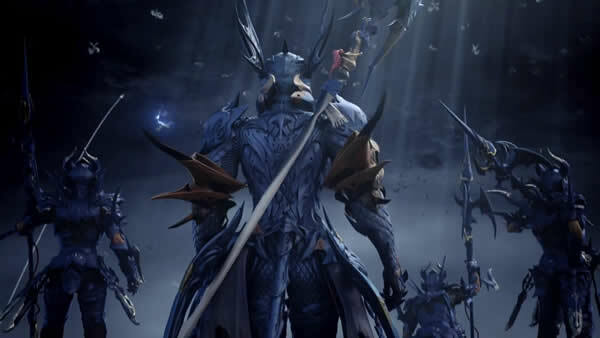 To unlock the quest, players need to complete the level 60 Main Scenario Quest Heavensward (Quest), Sidequest Why So Sirius and completed the original Pharos Sirius. It also requires players’ item level 170 or higher. If you reach the requirements, let’s enter the hard mode of Pharos Sirius together. First you’ll fight Corruption (uses Damnation dive, deals damage in front of them), Corrupted Slime, and Corrupted Flans that cast Banish down a staircase. Once the path is cleared, you’ll enter the Aether Compressor and face off against Corrupted Sprites (casts banish) and Corrupted Wolves (Uses Foul Bite for moderate damage). During this time, corrupted rocks will fall down from the ceiling and attack with Aether Detonation on impact. Once those are dead, drop down (land on the pipes to grab a chest) and enter the Fuel Chamber to battle the Ghrah Luminary. The Grah Luminary uses the following moves. 1). Vorpal Blade: High-ish tank damage. Also used my Corruption in humanoid form. 2).Corruption: Occasionally a corruption sphere will spawn on the side of the arena and use Targeting to tether a party member. Dragging the tether over one of the untargetable spiders (Literally just called Spider) or birds (Sirius Screamer in the chat log) in the arena will cause it to link to them, and use Aetheric Mimicry and Matter Shift to take their form (via buff Legs of the Spider, Wings of the Raptor, or Strings of the Marionette). It will then become targetable, and should be taken out ASAP. If the player does NOT drag the tether over one of the monsters, it will use Aetheric Mimicry on them instead, dealing heavy damage and causing the corruption to take a humanoid shape like the Luminary, as well as granting the Luminary a Damage Up buff. 3).Acid Spray: Used by spider corruptions, leaves a pool of poison. 4).Damnation Dive: Used by bird corruptions, deals damage in a short line in front of the mob. 5).Luminous Lancet: Strikes three targeted areas with Astral damage. The key to this fight is simply to make sure to always drag the tethers to the mobs to avoid creating humanoid corruptions. You’ll start facing Kobolds and their creations now. Construct 8 is basically a Cyclops monster in new paint, Time Bombs have plenty of HP and simply explode, Coral Dobylns are typical, and 8th Order Roundsman are gladiator mobs. The Simple Bomb Incubators will continuously spawn Time Bombs until defeated, so take those out first. Beyond the first incubator you’ll also find 8th Order Pickman, which are just Marauders just before the Second Spire and 8th Order Patriarch Be Gu. Be Gu uses the following attacks. 1).Strip Mine Room-wide AoE that deals more damage the closer you are to the impact site, and leaves a rupture in the floor. The rupture causes Corrupted Gels to spawn until it’s sealed by killed a gel over the fissure. 3).Adds: On occasion, Be Gu will summon two 8th Order Furnaceman that will spam Titan’s Anger on random party members, along with two Alchemy Engines that provide Damage Up and Shocking Counter buffs to him. The Furnacemen are conjurers and should be defeated before the engines. 4).Loose Screw: Spammed while the Furnacemen and Engines are up, he charges across the battlefield at high speed dealing damage to those he runs into. 5).Batter: AoE damage centered on himself. This fight is all about dealing with adds. Taking out the gels on top of the fissures is the only complicated part of the fight. Down in the Sapper Tunnels you’ll deal with more bomb incubators that now spit out stronger Time Grenades, roundsmens, and pickmen, as well as 8th Order Bedesman, which are conjurers. You’ll also encounter Living Rock, a behemoth reskin. In the final room, you’ll find some Construct 8s attacking structures called Pharos Wall. If these walls are destroyed, Living Rocks will come out and attack the party. 1.Scalding Scolding: Swipe attack on the tank. 2. Sap: Targeted AoE damage. 3.Bombshell Drop: Spawns Lava Bombs and Grey Bombs. The Grey Bombs will keep growing in size and eventually detonate (Wipe mechanic? ), while the lava bombs melee for a while, then use Big Burst to blow up in a small circle. 4.Big Burst: She will use this at low HP, killing her before it goes off causes it to go off anyway with reduced damage. Once she does, three lava bombs and three grey bombs will spawn, followed by phase 2. Phase 2 is indicated by her now being blue and having the name Progenitor. 5. Scorched Earth: Used at the start of the phase, room-wide low damage. 6.Blue Flame: AoE attack that inflicts Fire Vulnerability Up on the party. Used periodically, functions as an enrage mechanic. 7.Big Burst: Used during the fight to do moderate room-wide damage, and spawns a grey bomb and a Remedy Bomb. The Remedy Bomb should tries to float towards the Grey Bomb, but any attack will knock it away from the attacker. Advised to have the healer focus on knocking the remedy back while the DPS burn down the grey bomb. The Remedy Bomb immediately dies when the Grey Bomb does. Later in the fight multiple pairs will spawn, adjust accordingly. High DPS is a necessity during this fight due to the large number of adds that must be defeated before they explode, as well as someone willing to babysit the remedy bombs. So long as you can swiftly take out the Grey Bombs, keep the Remedy Bombs from reaching them, and finish her off before you get too many stacks, she should pose little trouble.As loot, players could get not only ilvl 185 gear but also 80 Allagan Tomestone of Law and 40 Allagan Tomestone of Esoterics. In addition to buying crafting gear form MB with FFXIV Gil, rushing in Pharos Sirius could help players to upgrade item level. For some new players or players who reach Lv.60 just now, Pharos Sirius is a good choice.